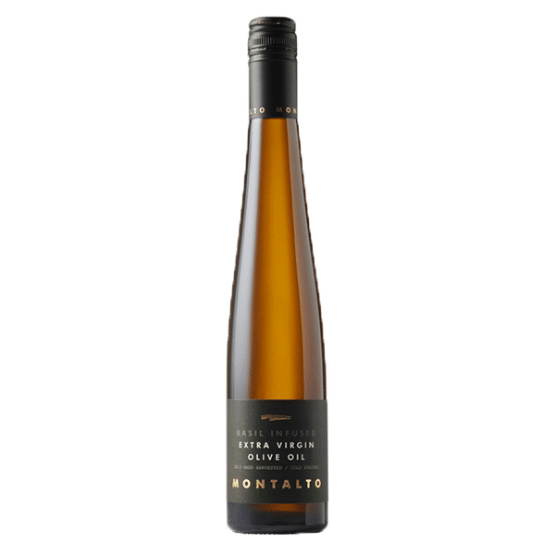 Produced from a blend of olives from our property and other Victorian sites, mainly: Koroneiki, Frantoio, Barnea and Manzanilla olives. The flavours are fresh & grassy, with a hint of pepper. This oil is best used raw to preserve its fresh flavours. Serve with crusty bread, or as a vinaigrette salad dressing with Montalto Verjuice. 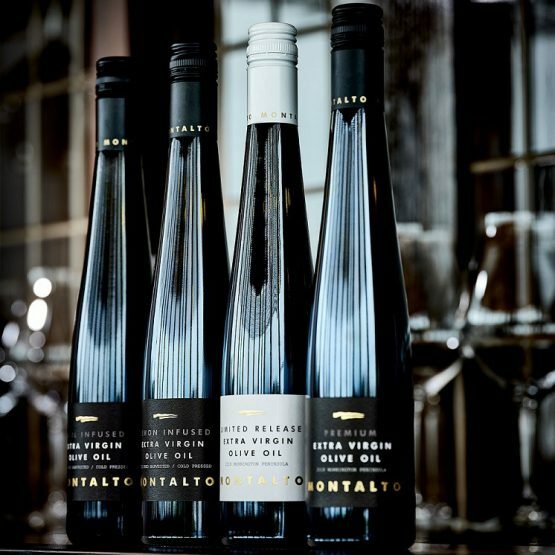 Cold pressed (producing the finest quality oil with the purest flavours). Extra virgin (the most pure oil from the first pressing & free of solids). Olives are pressed together with whole lemons, releasing the oils from the lemon skin as well as the juice, to create a rich, complete lemon influence. 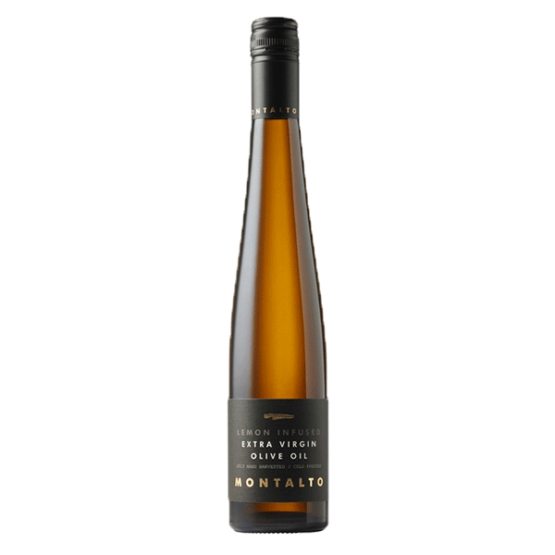 The flavours are zesty and vibrant, and obviously citrus. This oil is fabulous for bread-dipping, as a zippy salad dressing, or when marinating fish and seafood. 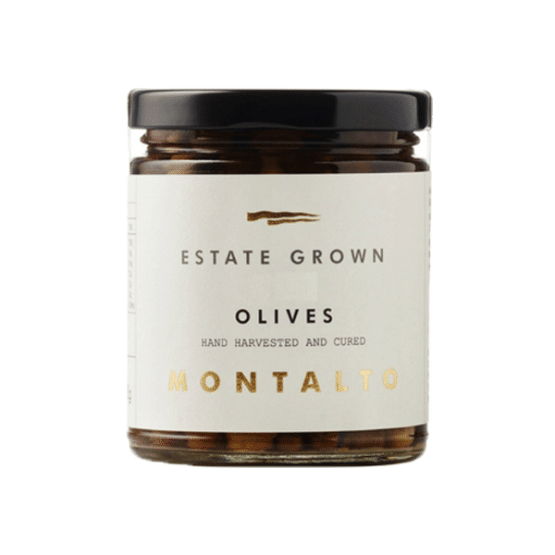 Montalto Basil-Infused Olive Oil is cold pressed, producing the finest quality oil with the purest flavours and extra virgin (the purest oil from the first pressing & free of solids). Montalto olives are pressed together with fresh basil leaves, releasing aromas and oils from the basil leaves. 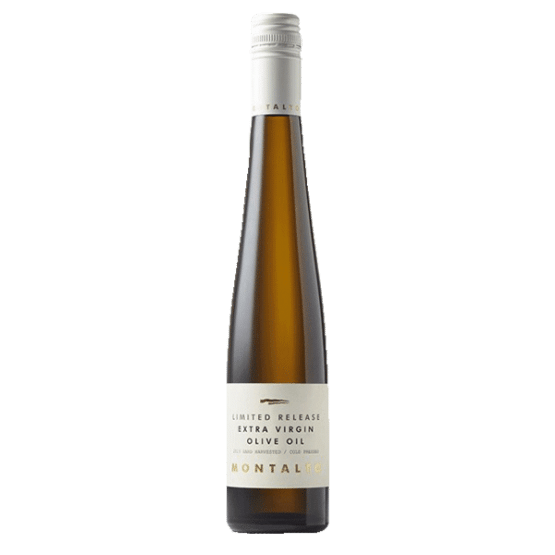 The flavours are fresh and grassy with the heady aroma of basil. 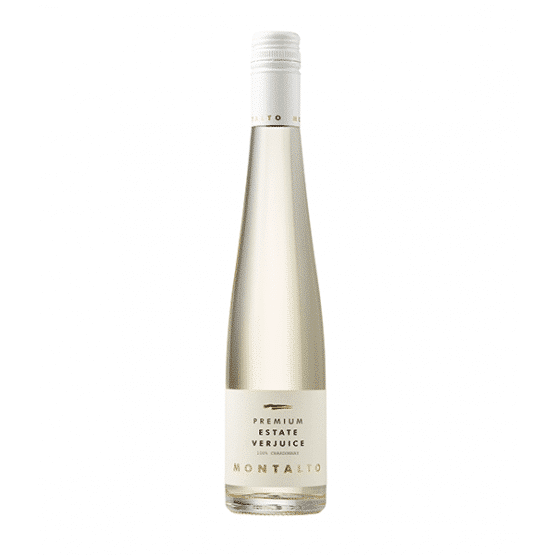 Montalto Basil-Infused Extra Virgin Olive Oil works well in Italian-inspired dishes such as a salad of buffalo mozzarella and heirloom tomatoes; drizzled over minestrone soup or a simple pasta immediately prior to serving; or even to add a touch of magic to a simple bruschetta.